Hubble finds new evidence for densest galaxy in nearby galaxy. Well nearby in astronomical terms which is 54 million light years away from Earth. 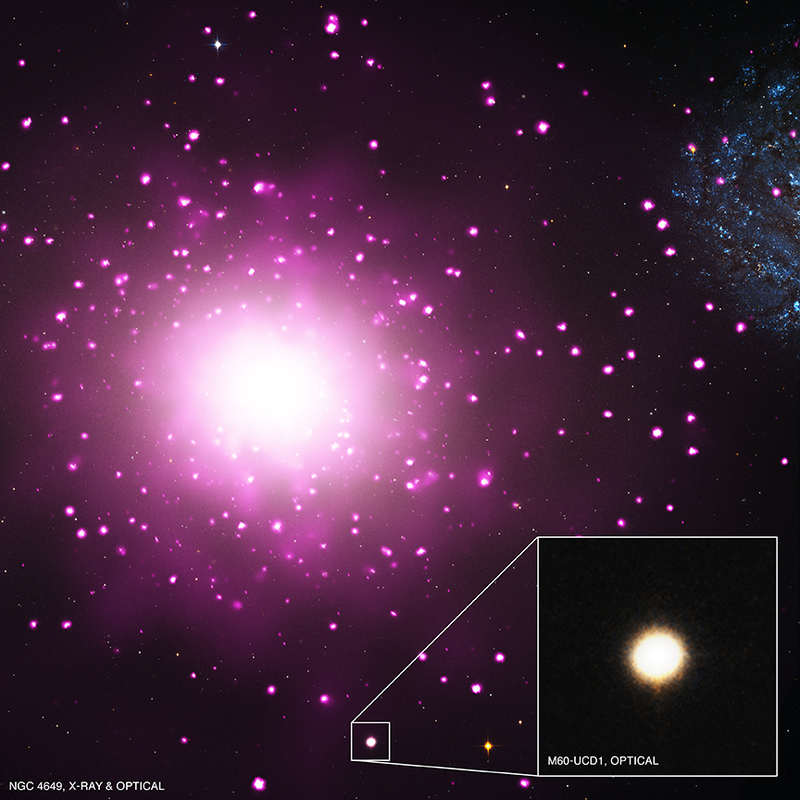 The galaxy M60-UCD1 is located near a massive elliptical galaxy known as NGC 4649 or M60. The galaxy weighs more than 200 million times the mass of our own sun or if you took all the matter within 80 light years of us it would equal that much weight. The density of the stars in that region weigh 15,000 times more than found in the Milky Way neighborhood. They describe this galaxy as an ultra compact dwarf galaxy. The stars are also 25 times closer than typical stars in a galaxy so you can start to see a sense of how close the stars are. With further observations astronomers found an interesting x-ray emitting energy source at its center. Finding it at the center wasn’t the interesting part but rather the black hole in the center is estimated to weigh about 10 million times the mass of our sun. What’s unusual is that large black holes are not found in dwarf galaxies so a theory is that a collision may have occurred sometime before. For more information check out the official press release here.